Offering RIR to our users to quickly collect and package driver information saves time and reduces risk. Fleetworthy Solutions online software platform, used by many fleets in many areas across the country, for organizing safety and compliance data – COMPLY – just got an upgrade. The importance of quickly collecting and packaging driver related files in time-sensitive and dangerous situations is well known. If a driver is involved in a crash, if a fleet manager needs to retrieve a driver’s entire DQF quickly, or if there is a need to resolve a dispute with an employee, Rapid Incident Response (RIR) from Fleetworthy Solutions solves that problem. Developed with the busy fleet manager in mind, RIR allows for quick packaging of driver-related files in an easy to share ZIP file. “Previously, when my team needed a driver’s HOS and DQ files for litigation purposes, they sent Fleetworthy an email request. The Fleetworthy team was responsive and timely in providing them, but we wanted to remove that step and get direct access to pull the information we need.” - Jason S., Director of Risk Management, CRST International, Inc.
With that feedback in mind, RIR was added to the strategic product development roadmap that fuels growth at Fleetworthy Solutions. The new feature is available now to all users of the Intelligent Compliance Platform – COMPLY. 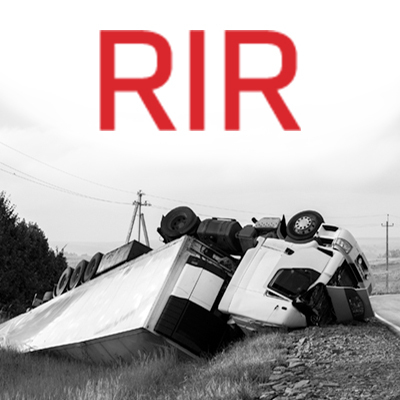 RIR captures a snap-shot in time of all driver files required for post-crash reports and other litigation purposes. With the click of a button, authorized users can download essential driver data into a well-organized ZIP file – including Expiring, Permanent, Medical, D&A, and HR documents, plus Background, Education, Accidents, Exempt Logs, and Graph Logs…and more. This is just one of many enhancements underway at Fleetworthy Solutions aiming to add even more value to private and for-hire commercial fleets. Current users of COMPLY can reach out to their assigned Account Managers to schedule a demo of the tool and get more information. Fleetworthy Solutions, Inc. provides outsourced compliance services to owners and operators of truck fleets that take them Beyond Compliant. Fleetworthy combines exceptional client service, advanced technologies, and more than 30 years of transportation industry expertise to make sure that drivers and assets are fleet worthy. The company helps private fleets, for-hire carriers and third-party logistics companies of all sizes surpass compliance of federal, state, and local regulations and streamline processes to reduce costs and mitigate risks.